There was no other information found in any of the government files that indicates there were any other factors in making the decision to keep DynCorp as the contractor and to use contractors in general. Apparently the DOD had “implicitly” approved the State Department’s earlier decision to use contractor personnel and DynCorp in particular when the DOD took over the responsibility of training the ANP. Now we can see why there have been all these challenges to the awarding of the contracts. 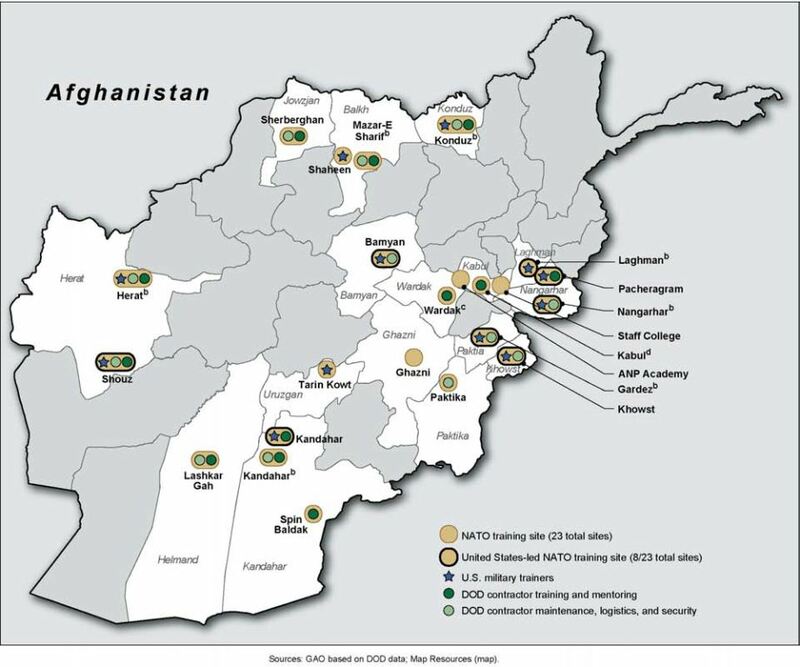 Part of the report was to look at whether or not there were any lessons learned from other DOD-led foreign police training programs (there is only one I know of – Iraq) that “directly addressed advantages and disadvantages of using USG or contractor personnel to carry out the ANP training program.” There were not any such lessons identified in the study. However, the GAO had reported in March of 2009 that the US lacks sufficient governmental personnel to carry out the mission of training the ANP. The DOD says it needs contractor personnel to provide training and mentoring in civilian policing skills, including such expertise as criminal investigation, interrogation, and forensic crime scene analysis. The DOD says that the U.S. government lacks available personnel to train the ANP and perform all the support roles that DOD contractor personnel fill. 2,825 DOD contractor personnel provided support services. These services included maintenance, logistics, and security. 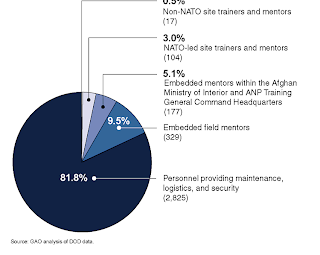 More than 80 percent of all personnel are not directly involved in the training and mentoring of ANP personnel. Interestingly these are only at 12 of the 23 training sites. 319 USG personnel and 329 DOD contractor personnel serve as embedded mentors that work directly with deployed ANP units to help develop civilian policing skills. What is odd, is when the GAO recommended that DOD and State provide more personnel to support the ANP training program the President responded by authorizing an additional 4,000 troops. Note what was stated above – that the US government does not have the personnel with the skills/expertise to do so. Also, an August 2011 joint audit by the DOD and State Department Inspectors General reported that additional personnel were needed for program management and contract oversight for the ANP training program. This is a common and often ignored recommendation. So there you have it – It is still kind of long, but not 17 pages like the original report. I hope this answers some questions for you.